EXTRA SOUR, JUST THE WAY HUBBY LIKES THEM! Do you ever wonder why we have both names or how they originated. Recently hubby has been requesting my 1000 Island dressing a lot which recently sparked an animated conversation on ketchup vs. catsup when I was a bit tired and my mid-western inflection sounded odd to his west coast ears. I decided it was time to put an end to the debate and started researching both names. What I thought was going to be a simple research turned into an in depth history study. Here is what I found. According to Culinary Sleuth the difference is primarily in the spelling and pronunciation, but I found that may not truly be the case. 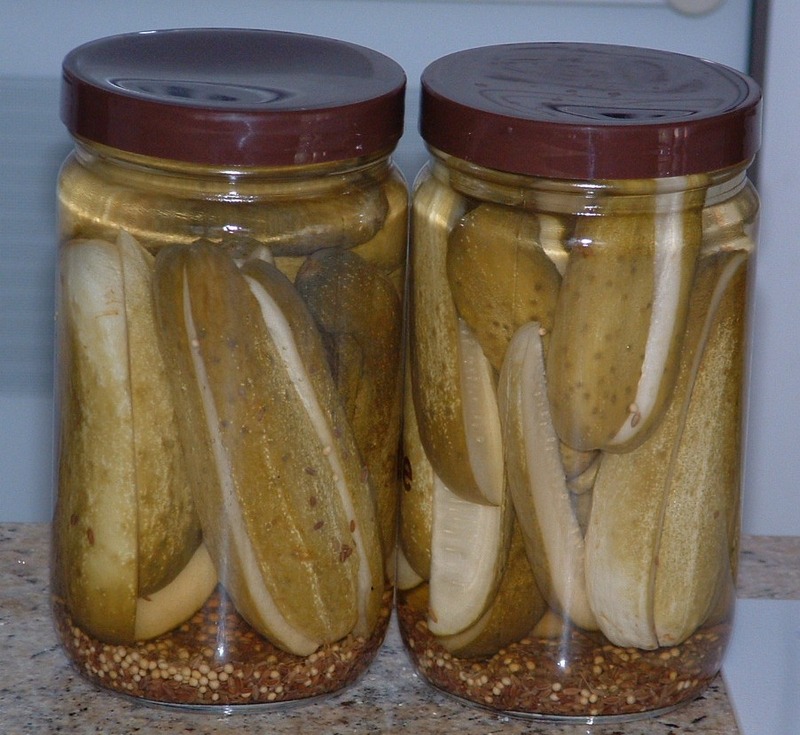 They claim it is America’s most widely used condiment and can be found in 97% of all kitchens. The basic ingredients in today’s ketchup are tomatoes, vinegar, sugar, salt, allspice, cloves and cinnamon. Onions, celery and other vegetables are frequent additions. Catsup may be made of tomatoes, onions, cayenne, sugar, white vinegar, cloves, cinnamon, celery seed and salt. So the two do not differ much except that catsup appears to be spicier than Ketchup. Per this site, “catsup is known to most experts to use higher quality tomatoes. This fact is not known to most consumers, and they blindly purchase the inferior ketchup more often”. All versions seem to attribute the origins to an Asian, Chinese or Indonesian spicy pickled fish sauce that was predominantly a soy and Worcestershire based sauce that sometimes also had anchovies and dates back to the 1600’s. English Sailors brought ke-tsiap home with them from their voyages where the name was changed and finally became ketchup. It wasn’t until the late 1700s though that New Englanders added tomatoes to the blend. Henry J. Heinz began making ketchup in 1876 but he was neither the inventor nor the first to bottle it. His recipe remains the same to this day. 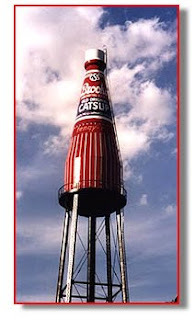 During my search I also found the Brooks Catsup of Collinsville Illinois which is home to the world’s largest bottle of catsup that doubles as the town’s water tower. It was saved in recent years by a preservation society and restored to it’s original appearance. This product is owned by Bird’s Eye in today’s world and is produced in limited quantity.